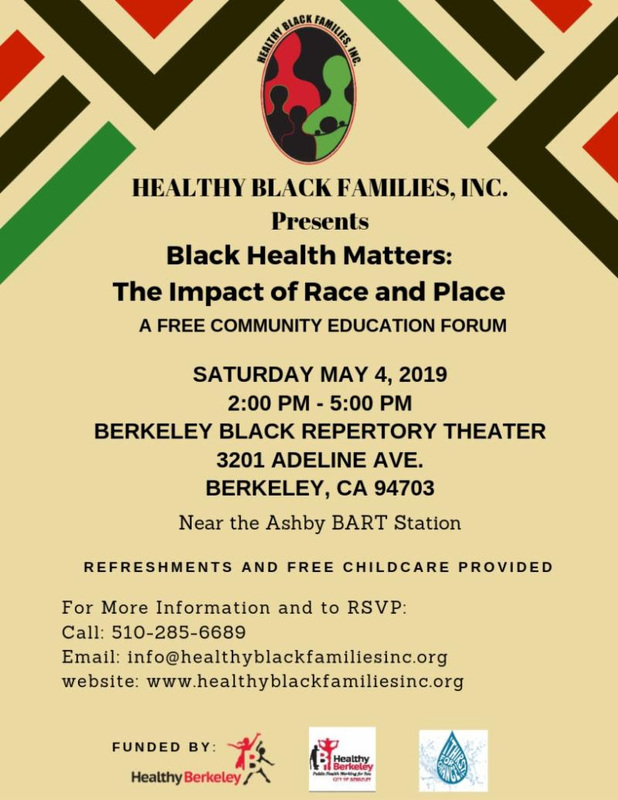 Let’s talk about Black Health in the Bay Area. How does your race and where you live affect your health? We will have a healthy equity discussion about the health disparities within the African-American Community. 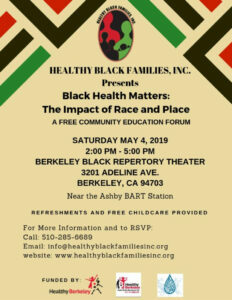 We invite you to share your ideas and solutions on ways to improve the health of Black People in the Bay Area. We will provide refreshments and childcare. All are welcome. Let’s change the narrative on Black Health. We can eliminate diabetes, heart disease, hypertension, and other ailments when we heal together. The healing begins now!